This is a quick note to let all current and potential students of HoM know that once you enrol a course, you can access other courses in the same level or inferior levels for free. If you attend the post-beginner course in South William Space on Mondays at 6pm, you can avail of free tai chi classes on Thursdays at 6pm the South William Space. If you usually go on Mondays at 6pm and you are busy one week, you can make up for that class on Thursday at 6pm. Also, if you enrol a qi gong course or drop-in a specific week to a qi gong class, you can avail of a discount on a class that same week. For example, if you enrol on the qi gong course on Monday at 7pm, you can go to the drop-in qi gong classes on Thursdays at 7pm for only €10. Or if you dropped in on Monday, and you wish to drop-in on Thursday that same week, you can do so for €10. If you have any queries about this offer, do not hesitate to contact me. To all new students, welcome to the House of movement (HoM)! Categories: News, Offers | Permalink. No, it is not a trick. It is correct. When you join one of the tai chi courses, you can go to your usual weekly classes and become a visitor in the other classes of your same level. This can be useful if something comes up and you cannot go to your usual tai chi class. Instead, you can go to another class at a different time or location. It is also possible to repeat tai chi classes the same week. If you would like to get some extra practice, you can go to different classes the same week. Check the tai chi classes in your level each term to see how many classes you can do in one week. Tai Chi requires patience and discipline. Students often report they find it difficult to practice at home. By allowing you to go to many classes, this system facilitates your practice so that you will become healthier while having fun with your classmates. At the moment, you will be able to choose between any of my foundation classes. 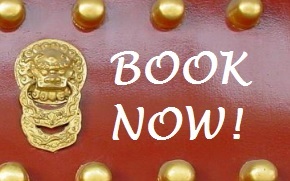 Have a look at the Tai Chi Classes page and see all the classes you can attend in the same week.